I was a very bad girl today & bought 2 dresses at TJ Maxx. I spent $43 on both of them, I got $2 off the green one because some pearls are falling off. (we fixed it) Going to return the green shorts to make up for buying these. What do you think?! 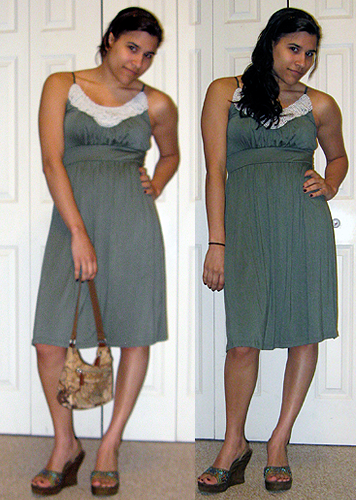 (sorry for the bad pics, stupid camera...& I need to find a new pose) I think both look better in real life, the pictures don't do them justice, haha. amazing print on the black dress...looks elegant on yoo.cheers!!! I think outfit#1 looks great with the jackets, especially with the pink jacket. I love outfit number 2 super cute. 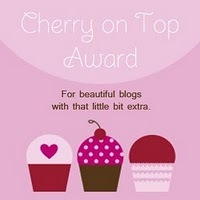 i really like the idea of cherry on top award! it's wonderful. Aw love the green dress. And 43 on two dress isn't bad at all! On the black and white dress, I definitely like sans the jackets. They seem a bit too heavy for the summer! But for winter they'd be perfect. oth dresses are quite cute. I like the pink jacket but maybe open with shorts? i really like the first dress with the pink dress! I like outfit one with the pink jacket its cute! I love the green one, it is so pretty with the pearls!! Both the dresses are cute but I just adore the first one. With the pink blazer it looks very Chanel! Nice styling! Loving the different looks, so nice! both dresses are super cute. love the way you mix them. such pretty dresses! love how you shoed 3 ways to wear the first one! Love them both! Great finds. Love that pink blazer. Reminds me of something from Karla's Closet! I love both the jackets. Ralph Lauren is just amazing. You have great legs by the way. Pretty. cuuuuuute. loving the top one espesh with the pink blazer/jacket!! Good find on those dresses. They look adorable on you. I think these are great buys. I like the dresses; especially the first one! 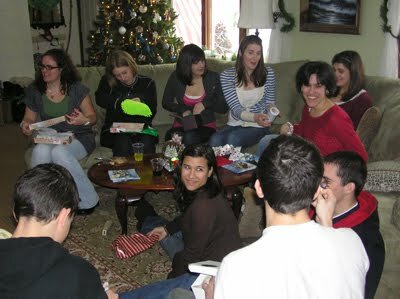 i like the black jacket with dress 1. Both of those dresses are SO cute! You look amazing in green! I like the black dress! Cute! The green dress is gorgeous. It might be nice with the black jacket. Love the green dress, you have so many accessorizing options! I love your printed dress - it looks fab with the black jacket! That's cool, you only buy cheap clothes and they all look very good ! !